I stared at the "P" entries in my old Monster Manual and then in the Pathfinder Bestiary for a while. I'm pretty sure my jaw dropped, and my mouth was hanging open stupidly. For many of the monsters I've written about this month, I've had to think hard about why I would have wanted to include such a monster in a campaign in the first place... but for this post, I was dumbfounded. For the life of me, I can't figure out why I've never used the purple worm. 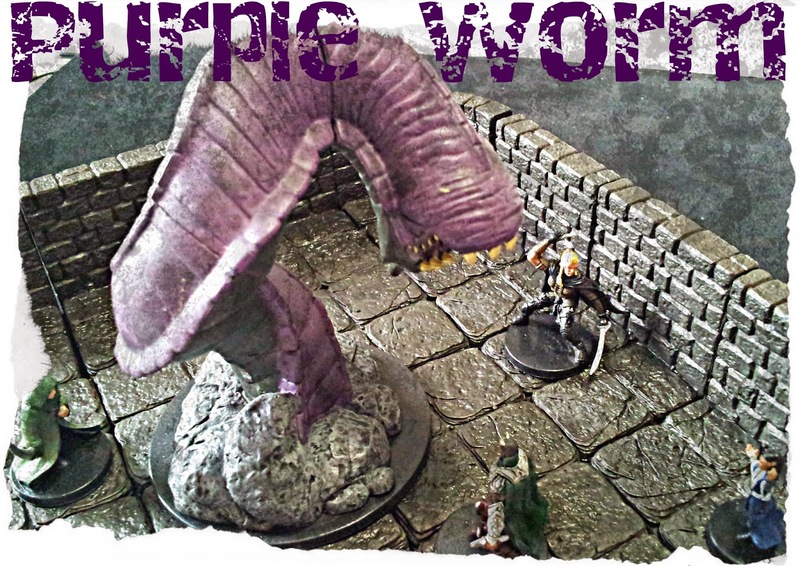 I've used the miniature before to represent an urgulstasta back when we were playing through the Age of Worms adventure path, but never has an actual purple worm seen play in one of my campaigns.